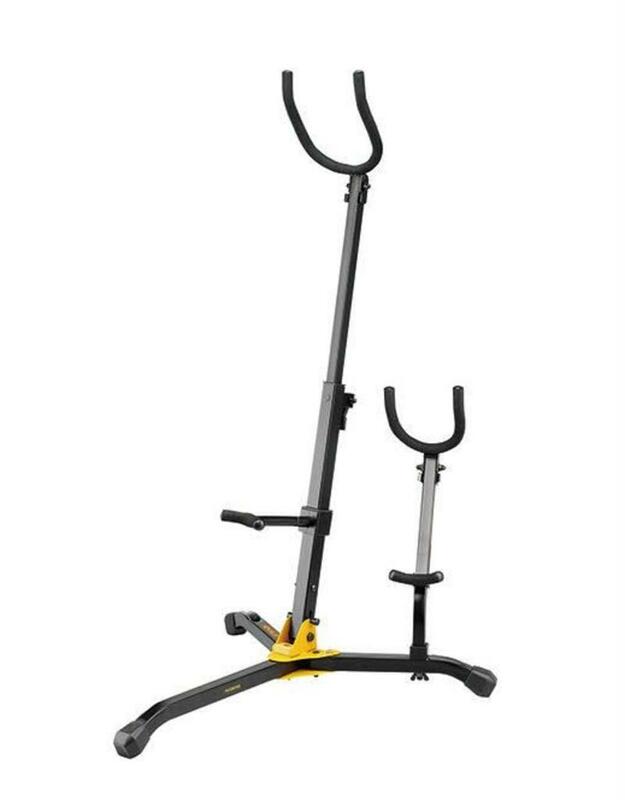 - The Folding Yoke has a Locking Pin that secures the upper yoke in position. 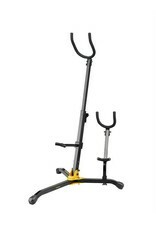 - The Adjustable Backrest safely supports the instrument. - Swivel Legs with Locking Pins snap securely into place, fit around other equipment easily, and fold up compactly. - The Locking Pin locks the stand in place; simply press the pin to fold. - 1 Extra Peg Hole for additional instrument peg; accommodates trumpet, cornet, soprano sax, flugelhorn, clarinet, piccolo and flute pegs.